The retail industry has undergone significant transformation over the past few years and this trend is most likely to continue. With the customer preferences changing rapidly, the face of the retail market is quickly evolving. With advancement in the various digital channels, the market will be defined by emerging technologies that change the way the consumers interact with their favourite brands. 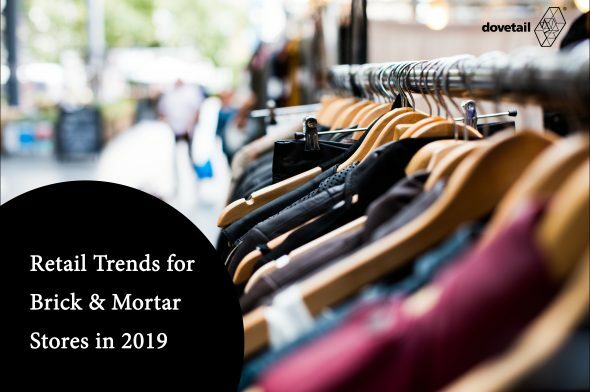 Here are 5 trends that will transform the Retail industry in 2019. Shopping these days isn’t viewed as just buying a product, it’s viewed as an experience altogether. While many may argue that shopping online could be more economical, seeing and feeling the product before buying is something that cannot be replaced! Retailers today are paying extra attention to every detail that could drive consumers into making a purchase. These details could be as small as the acoustics, lighting and arrangement of the products inside the outlet. Every small detail plays an important role in providing the customer a great shopping experience. After all, happy customers are the best brand ambassadors! AI can help retailers improve the customer experience they provide. There are many platforms and solutions such as Dott are helping even small and medium sized retailers leverage customer data more effectively. There are solutions which can be integrated with the POS system and this will be able to crunch useful information about the top selling products, frequency of the purchase, the number of customer visits etc. which could help store owners understand the target audience better and come up with suitable marketing strategies to drive more footfall. A virtual assistant is software which helps people find relevant information, interpret data, and carry out tasks. More than 1.6 billion people will use voice assistants on a regular basis by the end of 2021 and such assistants will provide retailers with a great opportunity as consumers will be using them to find research and buy products. Virtual assistants save retailers’ time and money by being more affordable than a staff member or consultant. Retailers such as Target are already making full use of the voice technology. The company issued voice activated coupons which turned out to be a significant step in customer engagement. This trend is likely to pick up more traction in the upcoming years. The whole ide of this strategy is to ensure that customers complete the sale and acquire the product as soon as they express interest. Once the purchase has been made, the customer can choose one of the payment option such as emi, instant cashback etc. This also encourages customers to buy more than what they came for as they see that they have a bigger potential to but more and more products and hence increasing the retailer’s business. Augmented reality is turning out to be a growing trend in marketing. Brands that take advantage of augmented reality will be the ones that can satisfy their customers in the long run. 75% of consumers now expect retailers to offer an augmented reality experience. For instance, without being able to picture how a store’s furniture would look in their own home, customers could stall their decision to buy .To help customers avoid this situation, retailers like IKEA and Wayfair have developed augmented reality apps that can place fully rendered 3D models of their furniture in their customers’ home. By leveraging augmented reality, these retailers have made it a lot easier for customers to engage with their brand, pick the right furniture and ultimately, buy more of their products. © 2019, Dovetail Furniture Pvt Ltd.